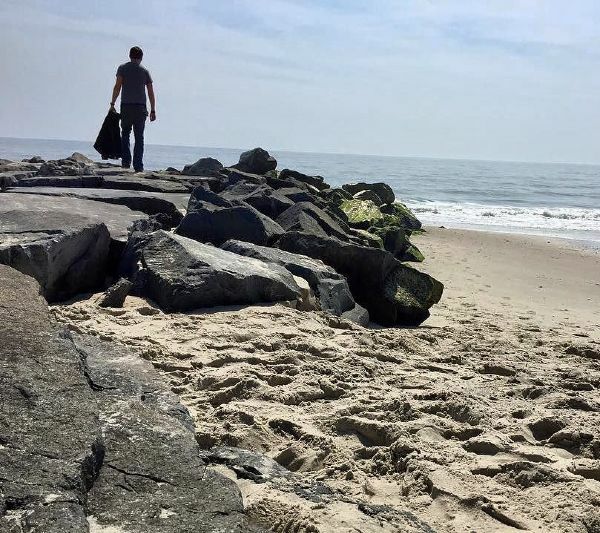 I’ve just returned from my annual visit to Cape May, New Jersey, for the Singer-Songwriter Conference that has become a traditional journey for me over the past seven years. Sharing the trip with my good friend and fellow singer-songwriter Kevin Conaway, we not only attended seminars and industry panels to keep moving our music careers forward, but we also had the opportunity to reconnect with many of our musical comrades-in-arms from across the United States! I played two showcase sets, enjoyed listening to many more, and came home with some exciting new ideas and goals towards which I can start working. This coming weekend, I’m hitting the road again! 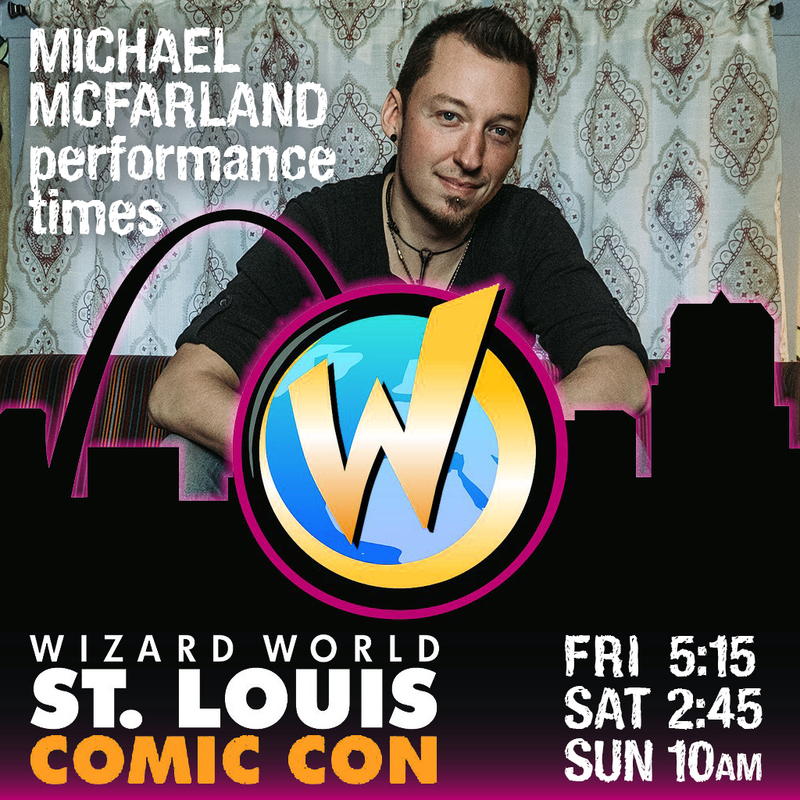 This time I’m heading west instead, traveling to St Louis, Missouri, to be part of another Wizard World Comic Convention. As usual, I’ll be joining personalities like Kato Kaelin and Thomas Ian Nicholas onstage while I perform three sets throughout the weekend, and I’ll also be setting up a booth to sell my board games and my visual art, alongside a plethora of incredible artists including my friends Shawn Coss and Nate Michaels! 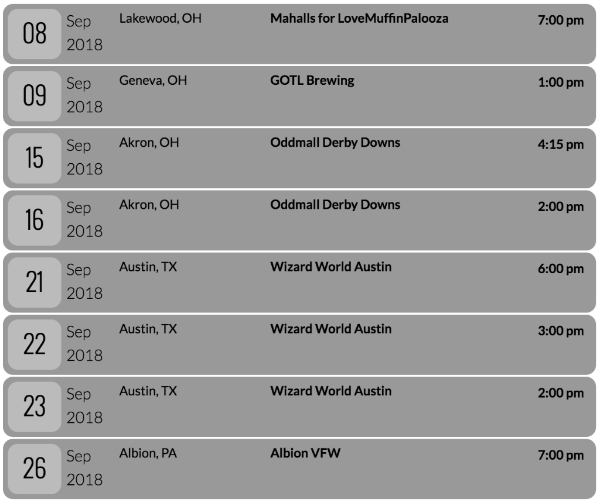 This will be my fifth Wizard World experience, my fourth on the road, and I couldn’t be happier to be a part of such a huge and engaging community. 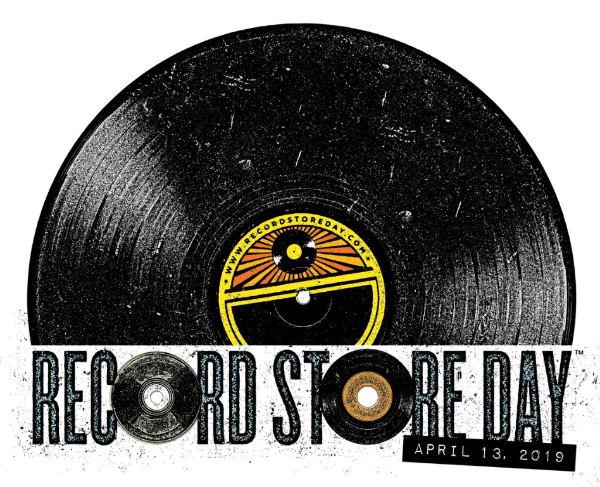 Finally, with April comes one of my favorite holidays: Record Store Day! 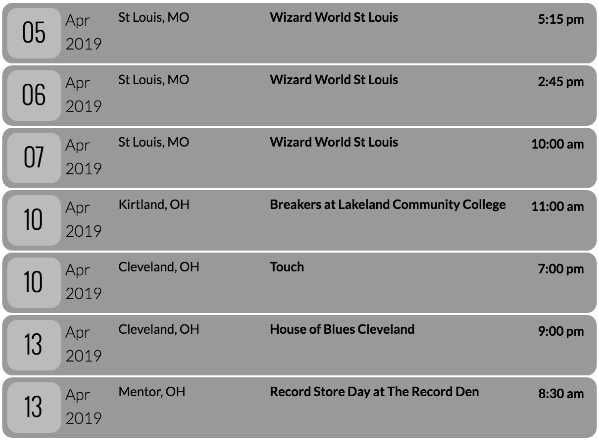 I celebrate every year with patronage to local indie music stores, and this year have the honor of playing my own music at two different locations here in Cleveland – but that’s not all! 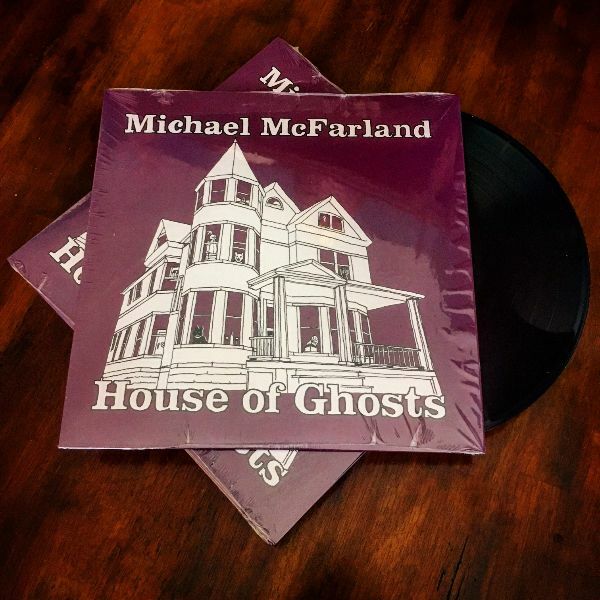 I’ve been waiting for months now to finally release my recent album, House of Ghosts, as my second vinyl offering, and I’m so proud to be able to inform you that my record will be available at several stores in the Greater Cleveland area! Preorders are already in the mail, if you reserved your copy early, and of course if you can’t make it to one of the stores, you can always order through my website. House of Ghosts is the culmination of over a decade of songwriting, and among my discography is definitely the album of which I am the most proud. I do hope you’ll give it a listen and love it as much as I do! And if vinyl’s not your thing, you can still stream it or get a copy on CD. Once again, thank you for taking this journey with me. I can’t wait to see what happens next! Copyright © 2019 Michael McFarland, All rights reserved. 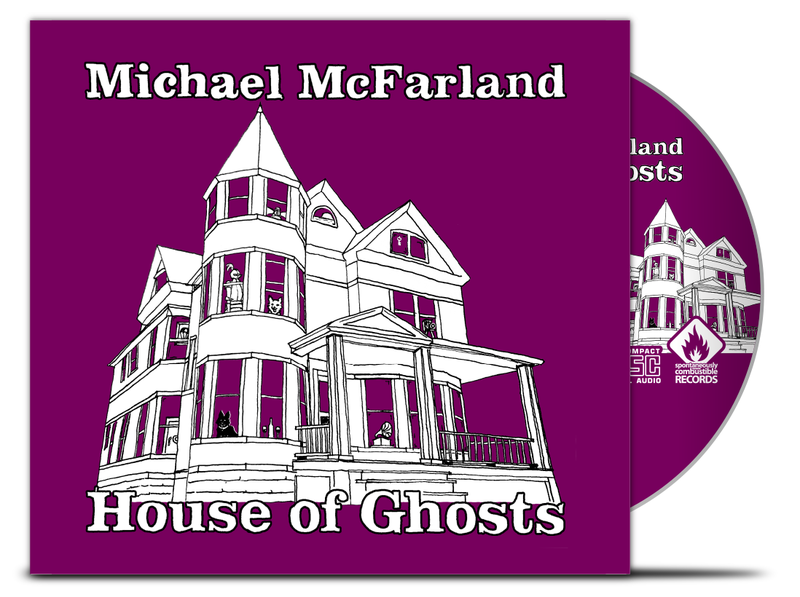 The vinyl release for my recent record House of Ghosts is happening on April 13 – Record Store Day! House of Ghosts is my sixth album, my second vinyl release, and has been described by reviewers as a “big, bright & lovestruck slice of infectious anthemic indie-rock”. It was created entirely in Northeast Ohio; tracked at Spontaneously Combustible Studio on the west side of Cleveland, mixed & mastered by Eric Bert Audio in Warren, and manufactured by Gotta Groove in downtown CLE. If you’re unable to make it to a show or retail location to pick up your copy, you can also pre-order here. Not to sound like a broken record, but MAN is 2019 taking me for spin! This year has already been jam-packed with excitement, arising in some of the most unexpected places. In January, I started working with a local creative collaborative called Ingenuity Cleveland, which hosts massive art, performance, and music festivals throughout the year. 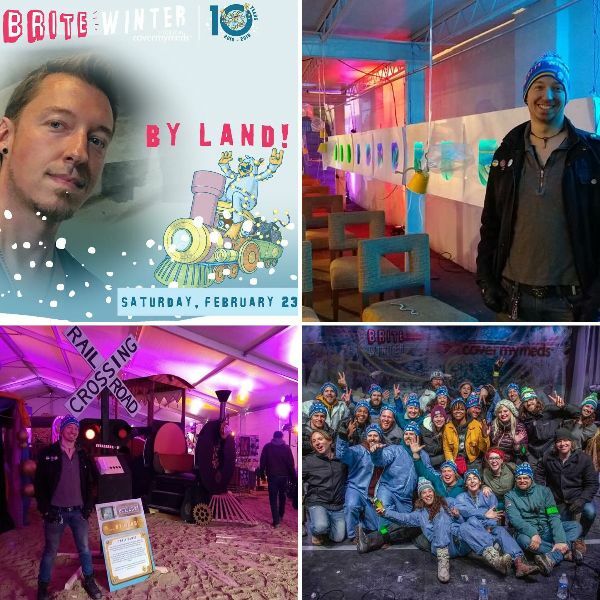 One of their early season projects is Brite Winter, a one-day, outdoor, five-stage music and art extravaganza bringing warmth and joy to the cold Cleveland winter in late February. A large team of artists, builders, musicians, performers, and everyday Clevelanders who wanted to make something beautiful joined together to fill three giant tents to the brim with giant art installations and interactive activities. I’m so proud to say that I not only helped on several major projects, but also designed an escape room style interactive game for one of the tents, which I then got to see played and completed by dozens of enthused families! It was so very rewarding to join this team and start creating larger-than-life experiences to share with my beloved city. Just as with my musical projects, I love creating experiences that are both literally and metaphorically multi-dimensional, and I’m looking very forward to continuing my involvement with Ingenuity for a long, long time. 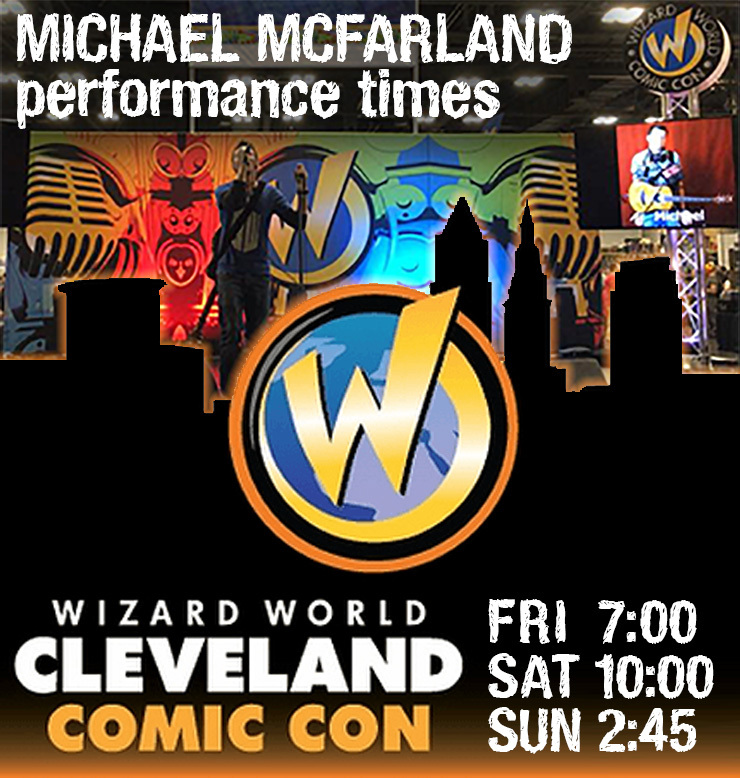 Heading into spring, the hits just keep on coming: this weekend I’ll be playing the main entertainment stage at Cleveland’s Wizard World Comic Con! Though I’ve had the honor of playing at several other Wizard World events in other states, this will be my first time playing this event in the city I call home. Sharing the stage with celebrities like Kato Kaelin and Thomas Ian Nicholas is pretty cool, but I also get to share my visual art alongside my musical art as an Artist Alley vendor all weekend. And, of course, I get to check out all the wonderfully eccentric costumes that never fail to populate one of the largest comic conventions around! 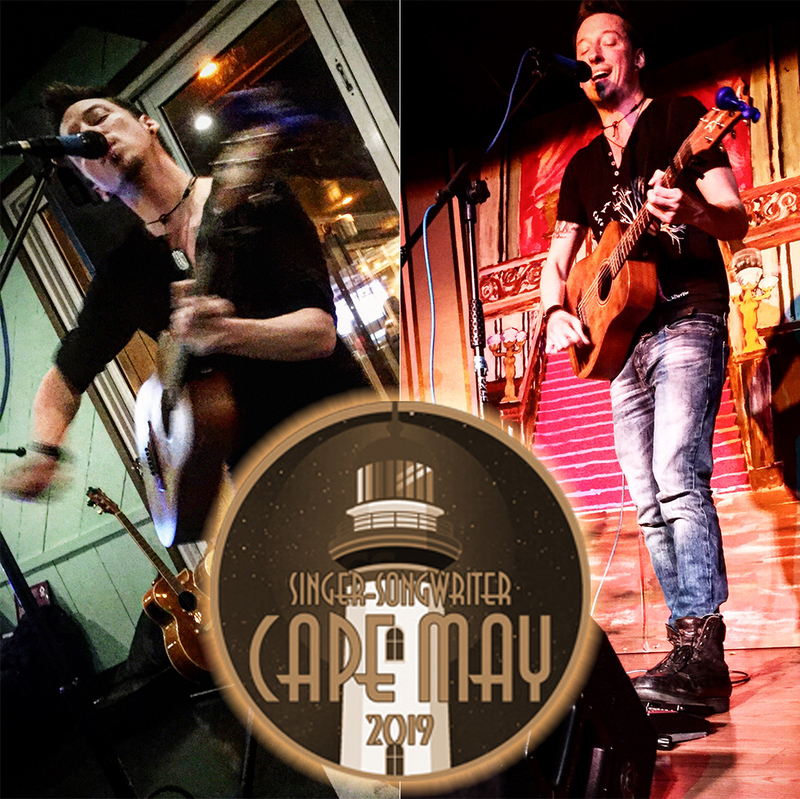 At the end of the month, I’ll once again be making my way to New Jersey, for the annual Singer-Songwriter of Cape May conference. This will be my seventh year (I think?) in attendance, and I’m thrilled to once again be making the pilgrimage with my brother in musical arms, Kevin Conaway. Not only is the conference a great place for learning, networking, and building my skills, but I also get to play a showcase performance while I’m in town! It’s a very personally significant trip that has become a bit of a yearly ritual; I always leave the seaside town fired up and ready for what’s next. 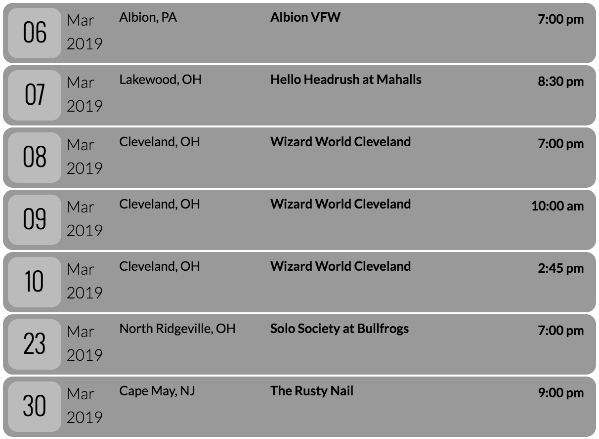 Now that the groans from that pun have dissipated, here’s a rundown of the shows I’ve got coming up over the rest of this month. I’d love to see your smiling, grinning, smirking, or even pouting faces at one of them! We’re only one month into the new year and already so many musical things are happening! 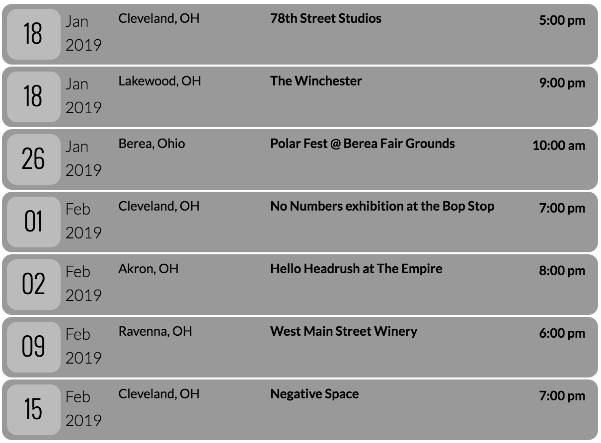 On New Year’s, my new multimedia electro-rock project Hello Headrush debuted in a small house show setting, but it’s already visiting larger venues thanks to Akron’s Empire Concert Club and my friends from The Scenic Route. Having the opportunity to bring my vision to a larger stage and broader audience was exhilarating, and the next batch of shows are already hitting my calendar. 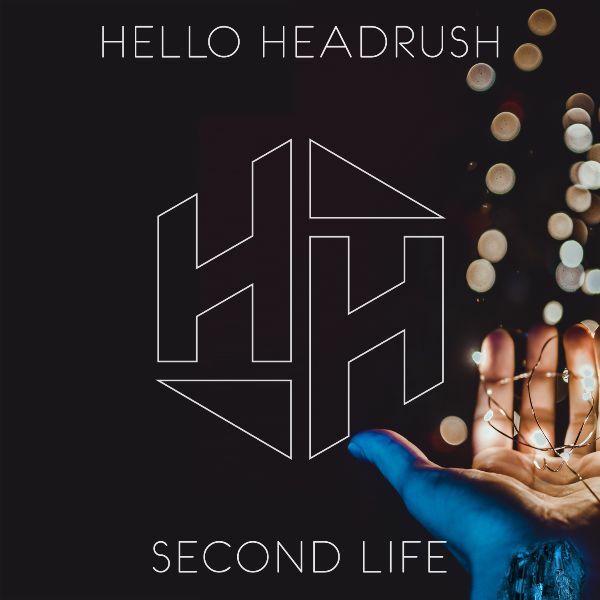 Of course, you don’t have to wait for a live show to hear Hello Headrush’s first single, which dropped at the end of January with the help of a Cleveland.com article by the wonderful Anne Nickoloff. Check out the article here, and listen the single “Second Life”, on any of your favorite streaming services: Spotify, iTunes, Google Play, it’s on all of’em! Also picking up steam in 2019 is my old band, The Mess Makers – in case you’re not familiar, we play the same material from my solo records, but as a cranked-up 4-piece rock band instead of my usual one-man looping show. After a successful reunion last Halloween, we’ve begun playing more gigs AND, most excitingly, shot our first music video! Our performanced-based video for “The Last Sunset” was filmed on one of Cleveland’s most bone-chillingly cold days, which necessitated some flexibility amongst my bandmate and filming crew. Despite the single-digit temperatures, we were able to relocate the shoot from an old, empty warehouse that would have been absolutely frigid to a much warmer setting: my Victorian mini-mansion (Who you calling eccentric? I’m not eccentric, you’re eccentric! Boom! Roasted.) in Gordon Square. Everyone brought their “A” game, including our director Brandon Radic from Lights & Sounds Media who turned our very cold lemons into a delicious lemonade slushie. He has a great eye for locations, angles, and all the little touches that make a video so special. We can’t wait to share it with you in a few weeks! 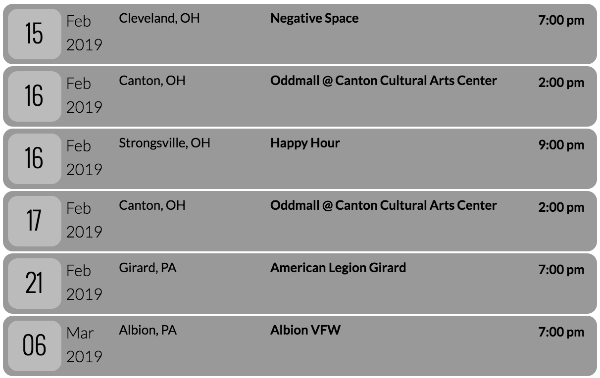 Amongst all these bigger band happenings, my solo performance schedule has stayed pretty well packed, with gigs all around Northern Ohio. 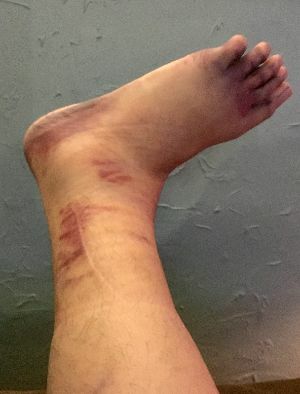 Lately that’s been a bit of a challenge for me; I severely sprained my ankle during a co-ed recreational soccer match a couple weeks ago. You may not know, but I happen to be an avid fan of futbol, especially the EPL’s Arsenal, the Columbus Crew, and the United State’s own Women’s National Team; I’m also a casual player myself in several local leagues. Though the bruising looks horrible, there’s good news: while I may have sustained a heck of an injury, our opponents did NOT score on that play, and we came out with a 6-3 victory! I have been walking a little gingerly but the ankle is definitely healing, and the show will continue to go on! And for everyone who pre-ordered my House of Ghosts vinyl when the album was released last October, I have great news! The crew at Gotta Groove Records has informed me that the manufacturing process is almost complete, and I’ll be able to pick up the records and start sending them out very soon. If you haven’t had a chance to place your order yet, you can still do so HERE! I’m aware that I’m a few weeks late in expressing that sentiment, but know that it’s heartfelt all the same. The first days of 2019 have been spent re-charging, setting creative goals for the year, and starting to turn those goals into actions! Halloween’s House of Ghosts album release was such an exciting event for me, and the good vibes have just kept coming. I’m thrilled to report that I’ve receive the vinyl test pressings for the album, and they sound fantastic! 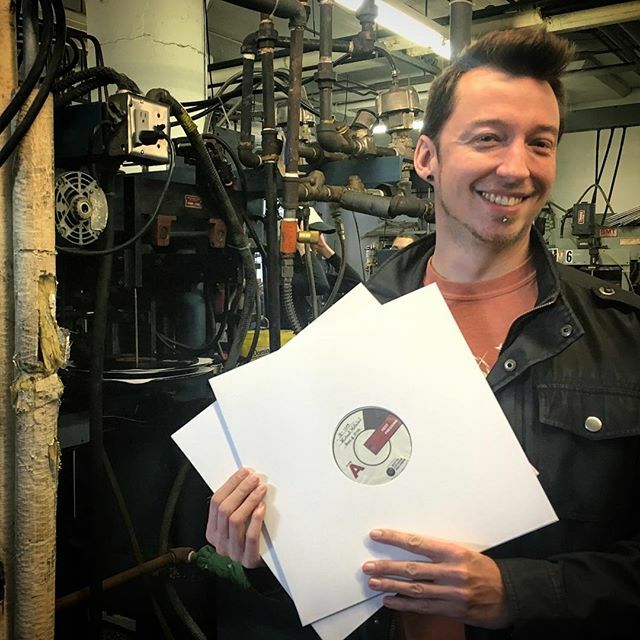 Thanks to local vinyl manufacturers Gotta Groove Records, my new album will be officially available shortly, and I’ll be sending pre-orders out hot off the presses – almost literally! If you haven’t reserved a copy yet, you can still put in your pre-order HERE. As my second offering on vinyl, I’m incredibly proud of how this album has translated to such a time-honored medium and can’t wait for it to be spinning on your turntable! The album release party was also an opportunity to reunite my band The Mess Makers, and we’ve been back in action ever since. Not only are we booking more shows around northeast Ohio, but we’re also shooting our very first music video this coming Sunday! 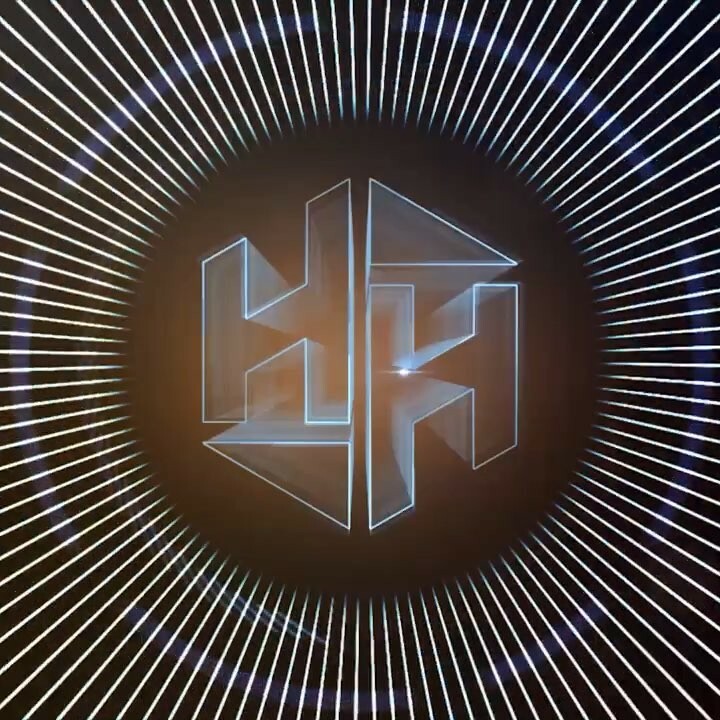 We’ll be doing a performance video to my House of Ghosts single “The Last Sunset” and filming at Cleveland’s amazing Hamilton Collaborative, home to Ingenuity Fest, Skidmark Garage, and dozens of other art, music, performance, and innovation projects and events. 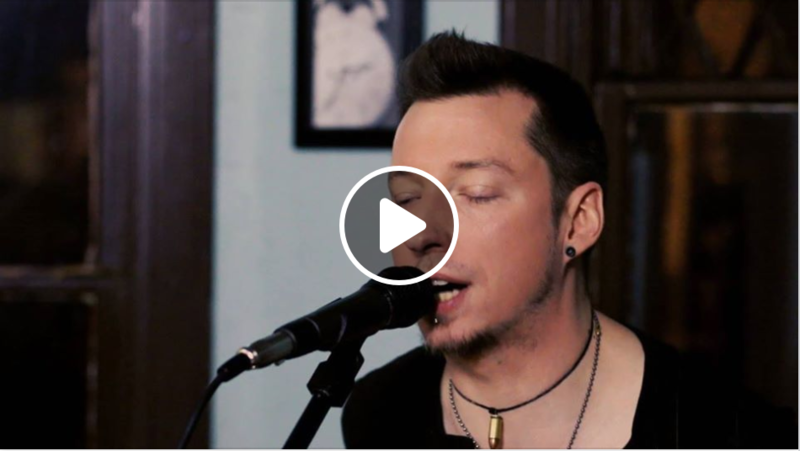 It’s an exciting space full of creative energy that, combined with the videography & direction of Brandon Radic of Lights & Sounds Media should make for one excellent music video! Of course, the new album isn’t the only big happening from this past year. Just after midnight on New Years, I debuted Hello Headrush, a new multimedia performance project which tells the story of a race of androids and their conflict with humanity. 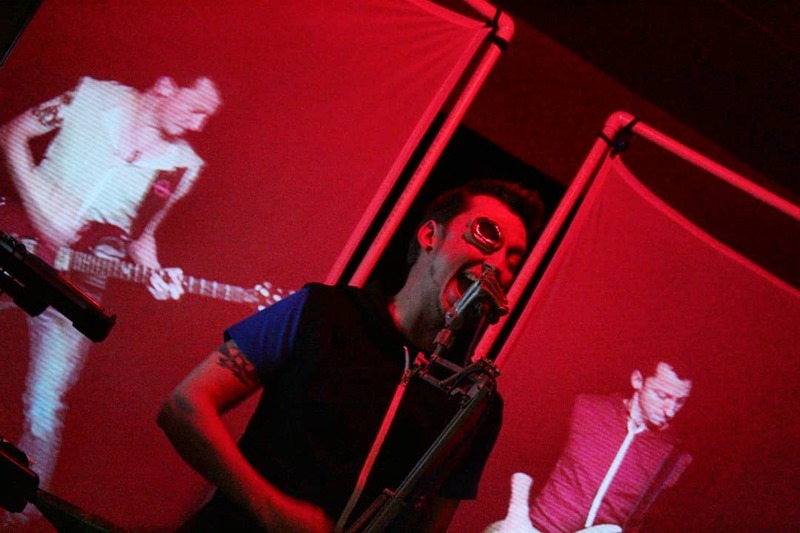 From the beginning, I wanted to make sure the live experience was unique and immersive: the “band” is comprised not only of myself playing & singing live, but two additional characters – portrayed by me – rocking out on life-size screens on stage along with me (insert “I’m beside myself” joke here), my microphone stand has a 3D-printed robot hand holding the mic, I’m playing a badass space guitar that was painted using fluid acrylics by Fiercely Serene, and I’m wearing a facial prosthetic to round out the visuals. The music is a combination of electro-pop & hard rock with a plethora of other styles blended in (even a bit of disco! ), and I’ll be releasing the first single, entitled “Second Life”, from the debut EP Humanity* on January 28, followed by a live show at The Empire in Akron on February 2. Photo by No.Numbers – I’ll be performing at his Proxy photography show! My regular solo performances and those with the Mess Makers will continue alongside the Hello Headrush project, and I’m looking forward to another truly awesome year of music. I’ve already confirmed appearances at both the Cleveland and St. Louis Wizard World Comic Cons, along with dozens of other shows, all of which can be found on my website. 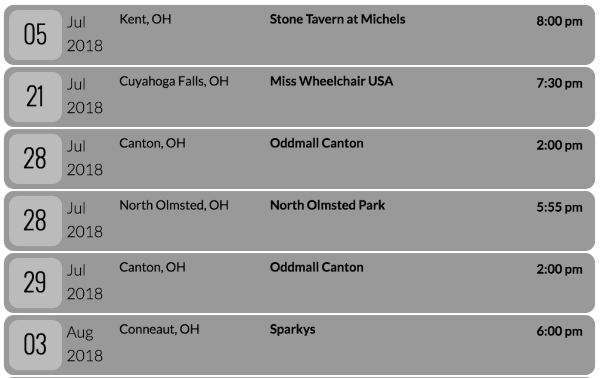 Here’s a quick list of upcoming gigs – hope to see you in person soon! Lastly, if you’ve ever wondered what music I personally listen to, here’s a little window into that; I put together a Spotify playlist that reflects how my 2018 sounded. Some of these are songs that were personally significant for me, some I found musically inspirational, and others are just bangers. I hope you enjoy – and if there’s any music you think I’d enjoy, please send it my way! Once again, thank you for taking this journey with me. Let’s make 2019 a great one! 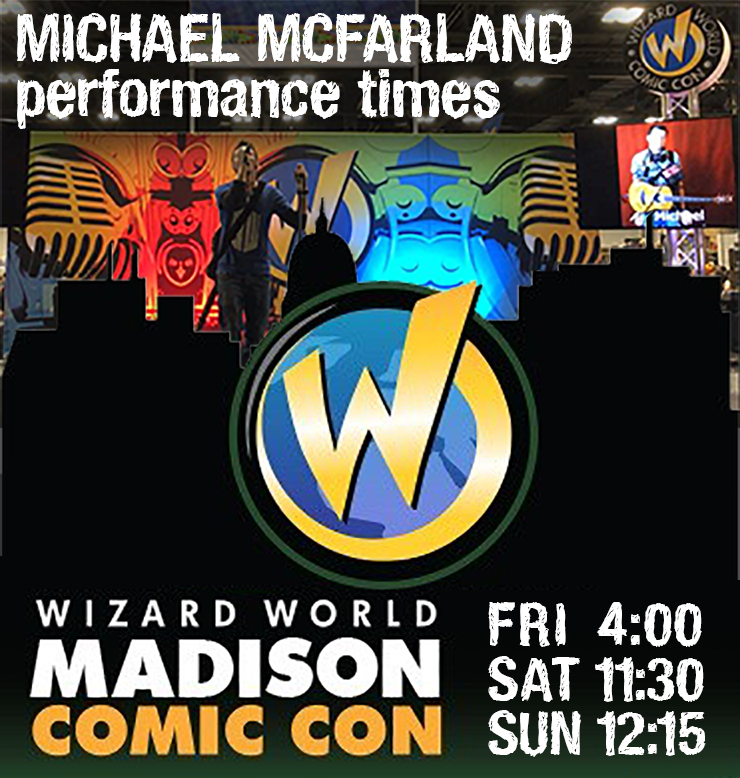 This morning, long before dawn, I was already en route to Madison, Wisconsin, to participate in another Wizard World Comic Con as a musical guest and vendor. Seven hours in the car proved perfect for ruminating on the past year, the goals and intentions I set for myself in January, and the journey I have taken since the beginning of 2018. It has become a tradition of mine to outline a series of personal and professional goals each year, to keep myself moving forward and to constantly strive for new ambitions. Some of this year’s goals have been absolutely crushed – especially the release of my sixth album, House of Ghosts, which came out on Halloween! Thank you to each and every one of you who has supported that endeavor by attending release parties, streaming the album, and buying a copy of your very own! I cannot celebrate successes like this one without all of YOU making it possible. On a related note, House of Ghosts vinyl pre-orderers will be pleased to know that the manufacturing process is moving forward splendidly! One of the major steps along the journey from studio to turntable is the lacquer test cuts, which have been created and sound fantastic. We’ll be entering final production as soon as the final master is approved, and House of Ghosts will be in the queue for pressing shortly. If you haven’t reserved a copy yet, there’s still plenty of time! Drop by the website to order yours here! Touring was a big goal for 2018, as I have always loved hitting the road with my guitar and meeting new fans, bands, and communities across the country. 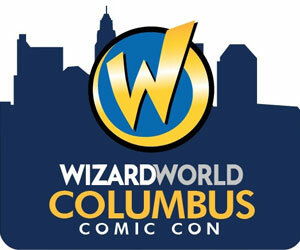 A surprising opportunity arose in the spring to help make some interesting travel shows possible: I joined the Wizard World entertainment lineup! From local Ohio cons, as far south as Austin, Texas, and west right now to Madison, Wisconsin, I’ve been able to experience incredible venues, share the stage with not only other amazing musicians but also various celebrities, and even start a NEW venture in visual art! Creating visual art isn’t exactly new to me, as I went to school for visual communication design, which included studies in illustration and other forms of visual art, but it has been quite a while since I was so immersed in the creation of my own works. This was due to a challenging physical condition that makes it difficult and painful for me to work with small utensils while hunched over a drawing desk. Being a part of the diverse and extremely creative Wizard World community has reinvigorated my passion, though, and thanks to modern digital drawing technology, I was able to tackle the Inktober Drawing-A-Day challenge to jumpstart my portfolio as a visual artist. Now, I have the opportunity to show my work alongside the very artists who inspired me! You can check out all my work on my Instagram Art account. Finally, creating and building the McFarland Manor music venue has been one of the most surprising and exciting accomplishments of the year. It is always a risk to open your home to parties and events, but I have found nothing but overwhelming positivity, talent, and generosity via this venture. Cleveland’s music and arts community is constantly raising the bar for excellence and always defies expectations. It has been nothing short of an honor to host acts of all genres, including visual artists and dancers, along with so very many guests who not only wholeheartedly support our musicians and artists, but also give generously to local charities at each show. The energy created every month has added a new dimension of warmth and love to my home, and I am looking so very forward to continuing what has become one of my favorite monthly traditions. Overall, 2018 has been an incredible year – and it’s not even over yet! 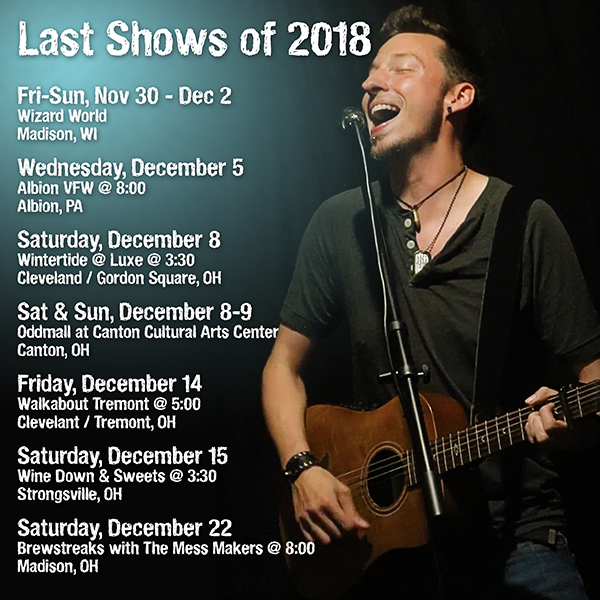 There’s still plenty of time to come catch a live show, as my December calendar is full of performances all across Northern Ohio and Pennsylvania. Fall is finally upon us! As the days grow shorter and the nights grow colder, it’s the perfect time to pull out your favorite blankets and curl up to some groovy tunes. If that sounds like your cup of pumpkin spice, have I got some great news for you! In a stroke of fortuitous timing, I just so happen to be releasing my sixth album this month, a full-length record brimming with new music. Titled House of Ghosts, I’ll be (very fittingly) releasing the album on Halloween, my favorite holiday! To celebrate the launch, I’ll be hosting not one but TWO release parties in late October. 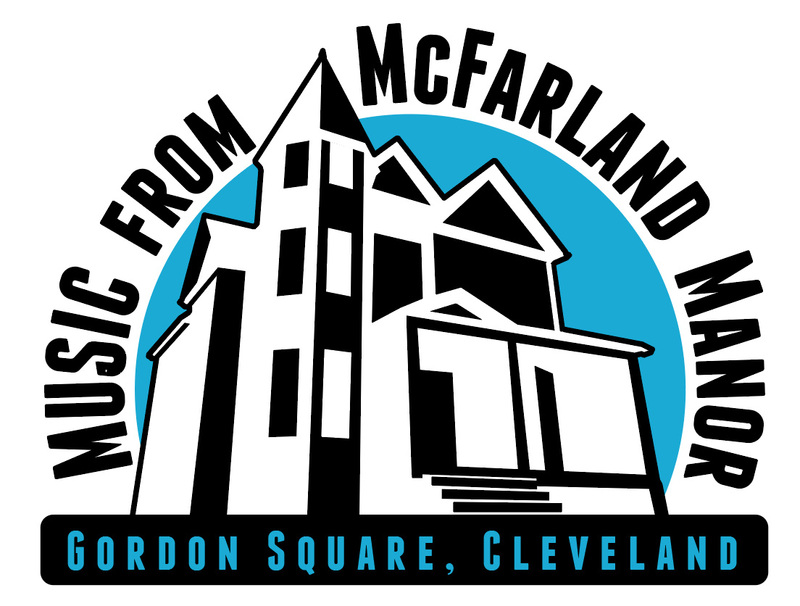 You can catch an intimate, private show on Saturday, October 27, at a very special venue in Cleveland’s Gordon Square Arts District: McFarland Manor. Why is it special? Well, for one, I live there. But more than that, it’s a DIY house show venue project I helped found, and the Halloween event will be its sixth show. Yes, my sixth album will be released at McFarland Manor’s sixth show, being held in the Sixth City…. If you can’t make it to the first show, I’ll also be playing in Akron on Sunday, October 28. The Oddmall Outpost, an “emporium of the weird” featuring wares from some of the area’s most unusual, creative, and unique vendors, will be hosting a plethora of events for Halloween, and yours truly will be playing the entire House of Ghosts album live in the Assembly of Odd Sunday afternoon. Regardless of whether you can make either of my live events, the album itself is already available for pre-order on my website. Though the vinyl pre-order was launched last month, I’m so very happy to tell you that CD format ordering is now open. Head over to reserve your copy and score free shipping with your pre-order! So, I’ve done CDs, and I’ve done vinyl, and for We Are the Architects I even did LEGOs, but now I think it’s time for something a little different. 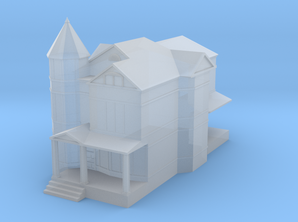 House of Ghosts will feature an exclusive 3-D PRINTABLE digital album option! From what I can tell, this special release is the first of its kind, so allow me to expound on the idea: you’ll purchase the 3-D printable file just like you would order the album on CD or vinyl (through the website). The 3D data in that file will be split into four piece, each representing a quarter of the final item. 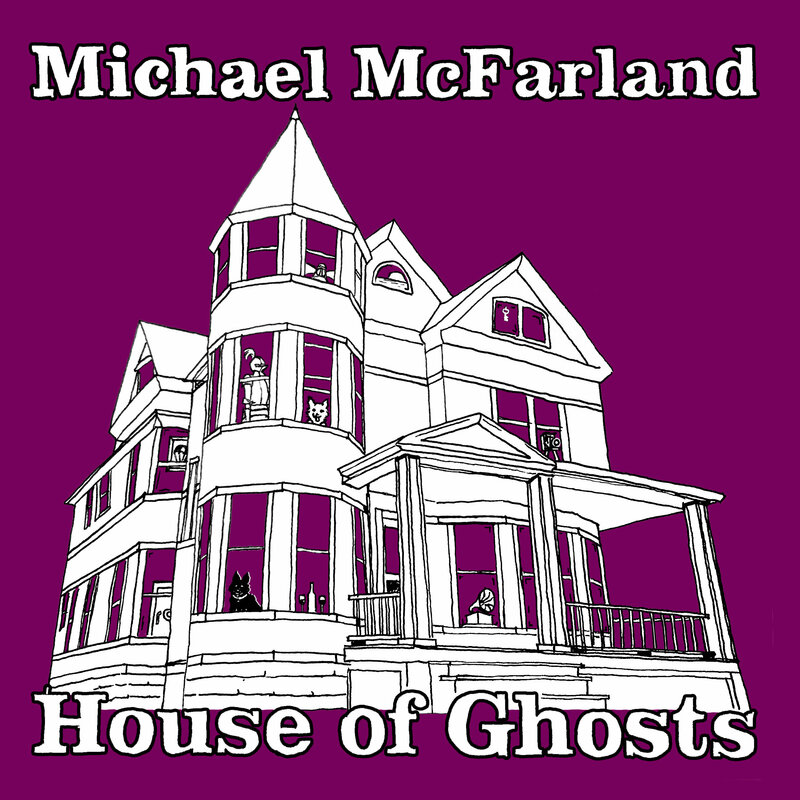 Once you’ve printed the pieces, you’ll assemble the item, which will form a scale 3-D model of McFarland Manor – which is featured on the album cover as my own personal house of ghosts. On the bottom of the model, you’ll scan the digital music code and voila! I’m serenading you with my latest hits. You’re welcome! Whichever way you choose to experience it, I hope you’ll find, as I do, that House of Ghosts is my most compelling album yet. Over the years I’ve learned that no matter whatever city we may move to or wherever we may roam, we carry the phantoms of our past with us. The songs reflect my realization that the memories and heartbreaks of life and relationships create inside each one of us our own house of ghosts. Album release aside, I still have plenty of upcoming tour dates for you to catch me live! In fact, just after clicking “send” on this month’s letter, I hopped in the car for a trip down to North Carolina (how do I know this? There are time paradoxes involved, best not to get into it), where I’ll be playing a Friday show at Olde Mecklenburg Brewing in Charlotte before heading over to Cary to catch the US Women’s Soccer squad take on their next opponent in the World Cup qualifiers. If you’re in the area, be sure to bring your smiling face over to say hello! My monthly newsletter’s a little later than usual this time around, but that’s only because I’ve been extraordinarily busy, in the best kind of way. Not only have I been pouring myself into various creative projects, I also fit in a visit to the west coast to celebrate my brother’s 25th wedding anniversary – the first time in nearly a decade all my siblings and my parents have been in the same place at the same time. Prior to that, Eric Bert & I finalized the last of the mixes for House of Ghosts, my new full-length album set to be released on Halloween of this year, and I’ve also been getting things in order to spend a lot more time touring the country and sharing this music in person! First things first: rest assured, I have no intentions of entirely retiring the motorcycle as a means of touring. 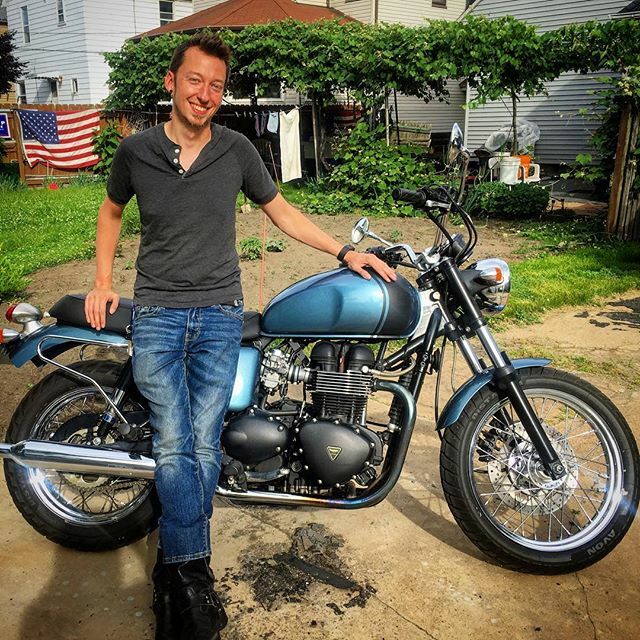 In fact, I’ve recently swapped out my beautiful red Triumph Bonneville for a beautiful blue Triumph Bonneville. My former noble steed was named Clyde, so if you have any good name suggestions for Clyde’s successor, please reply and let me know! 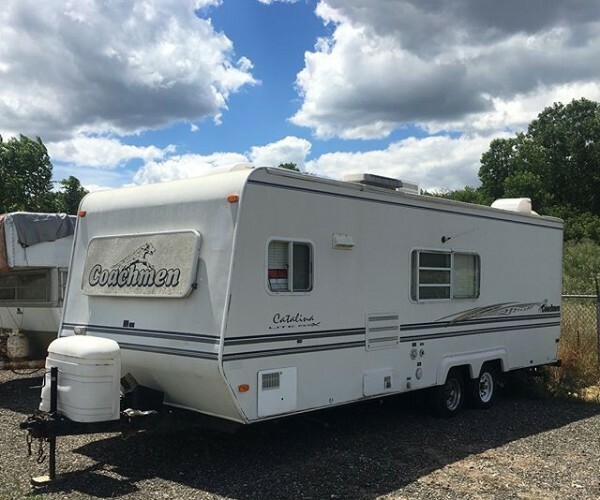 My first planned tour with the new digs is set for late September & early October – I’ll be sure to let you know the dates as they fall into place. 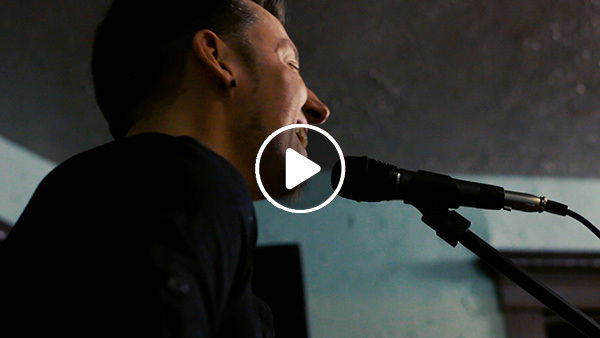 I’ve also released the last of the four “Almost Like Live” videos which were an attempt to reproduce the experience of attending one of my live performances. This final one is for my song “A Work In Progress”, for which you might have seen a music video in the past months. Click here or the image below to check it out (and please share if you enjoy! 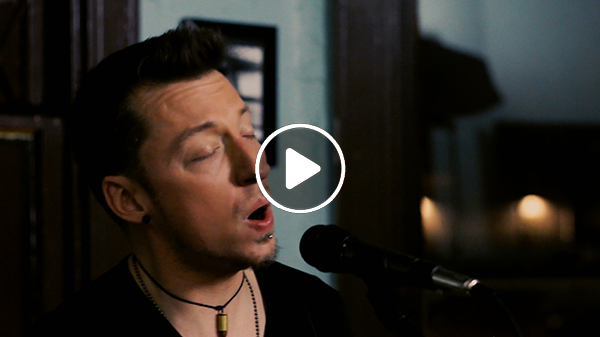 ), or head to this playlist to watch the entire video EP. If, like me, you’re in the United States, you’ll likely spend today celebrating Independence Day in one form or another; spangling whatever banners you find with stars, glaring at red rockets, and – Oh! – saying everything you see. If, however, you happen to live in Japan, you might be celebrating the 20th anniversary of the launch of the Nozomi probe to Mars, or if you inhabit the tranquil pine clad valley of Ziro in the Lower Subansiri District of India, you might be celebrating the first night of the Dree Festival. I, myself, will be celebrating the way I do most 4ths of July (I believe that’s the proper pluralization, like Inspectors General, or Dollars Bill), by hosting a shindig at my humble abode. There promises to be revelry aplenty, as my concert-organizing partners-in-crime Cassie Bishop, Mikey Silas, and I have put together a heck of a hootennany, with an amazing array of musicians performing, and a pop-up art show by fantastic visual artist (Tessa LeBaron). If you happen to be lacking July 4th plans and find yourself in the Cleveland area, you should absolutely join – details on the event are here. 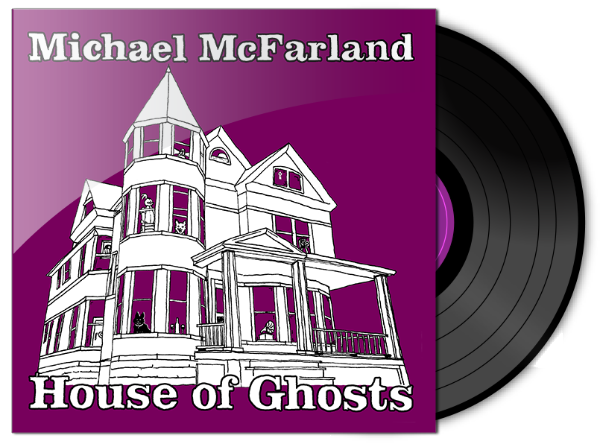 For a while I’ve been teasing a release date for my next full-length album, House of Ghosts. I’m finally ready to reveal that release date is the most obvious possible choice – none other than October 31, my favorite holiday, Halloween. Expect a haunted-house themed release party – details will be forthcoming as they are finalized! 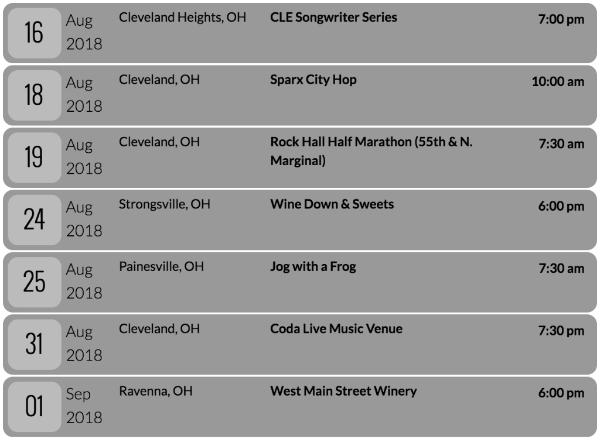 I’ve got a nice batch of concerts this month, including one on Thursday, and it would be wonderful to see some friendly faces at those shows! As always, there’s a chance a few more dates may pop up on my calendar – you can always find all the upcoming shows on my Tour Dates page. …in the most literal sense of the word possible. At least here in Ohio, temperatures have been unseasonably warm, which means I’ve been spending a good bit of time in the basement of my un-air-conditioned house. While somewhat dungeoun-esque, it’s generally a good 10 degrees cooler than the floors above. It also happens to contain my recording studio, which means I’ve been spending quite a bit of time down there working on some super-secret projects… more on that soon! Fortunately, the temperatures look to be dropping over the next few days. 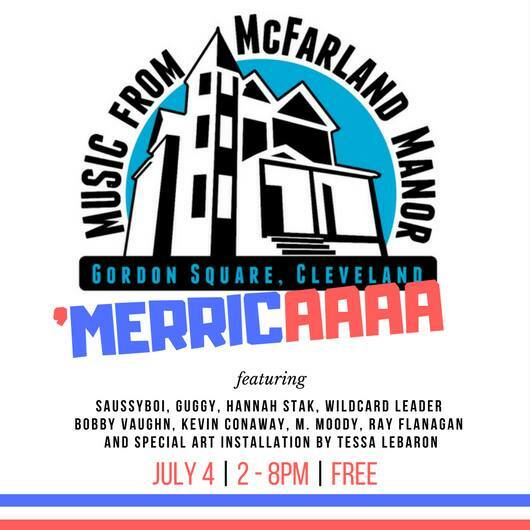 This is especially timely, as I’ve embarked on a journey with my friends Cassie Bishop (Shy Moon) and Mikey Silas (Somewhat Silas) of organizing monthly house concerts at my big, dumb Victorian house in Cleveland, affectionately referred to as McFarland Manor! The first show will be this Friday, June 1, and features a stacked lineup of talent from North East Ohio. If you’d like to attend, we’d love to have you – head over to the McFarland Manor Facebook Page, give it a “Like”, and send us a message for the address! If you’re looking for some great new music to listen to, I’ve made no secret about the fact that my main conduit to learning about awesome new artists is my good friend Kevin Conaway (a fantastic singer-songwriter), who somehow always has a new, amazing band to recommend. 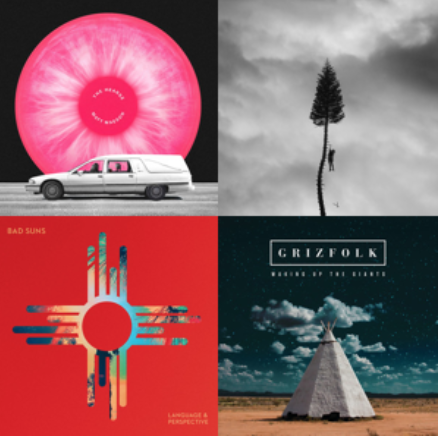 He’s recently started to curate a Spotify playlist, called Caught in the Current. I highly recommend taking a listen to it and subscribing – he’s updating it regularly with new songs (which you’ll find at the top of the playlist) and rolling off older ones from the bottom, so, you’ll want to check in on it regularly to catch the latest tracks. 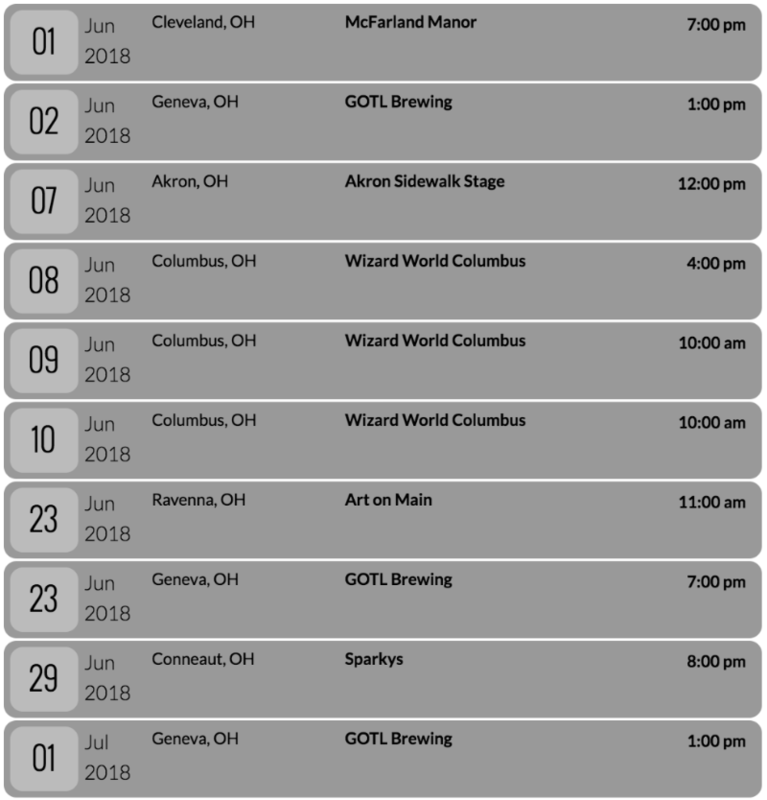 I’m also very excited to announce that if you’re into all things geeky, you’ll be able to catch me performing at Wizard World Columbus all three days of the Comic Con – the times of my performances will be going up in the next few days (the ones you’ll see lower down are when the con starts on each day), but there’s enough to keep you busy at Wizard World that you might as well set aside a whole day, and swing by the stage to see me play at whatever time that ends up happening! 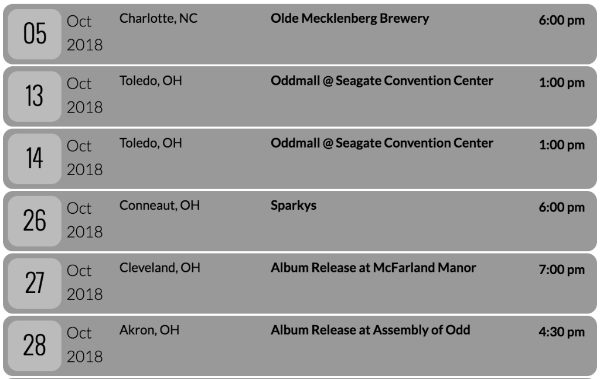 I’ve got a nice batch of concerts this month, and it would be wonderful to see some friendly faces at those shows!